Home»Our Attorneys»Charles A. Hambly, Jr.
Charles A. Hambly, Jr. is a former partner and currently Of Counsel in the Providence law firm of Higgins, Cavanagh & Cooney, LLP. His practice is in corporate, real estate law, estate planning and estate administration, with an emphasis of corporate business and financial planning. 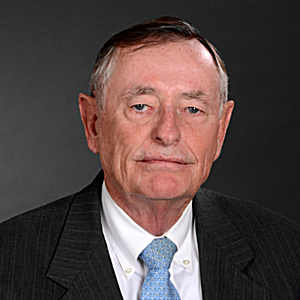 During his 31 years of practice, Mr. Hambly has represented numerous businesses and individual clients in all corporate matters including employment practices, state and business planning, real estate development including zoning board appearances and numerous Superior Court and Supreme Court appearances in support of these clients. Chuck graduated from Georgetown University in 1966 and received his J.D. from Case Western Reserve University in Cleveland, Ohio in 1969. He is a member of the Rhode Island Bar Association and the American Bar Association. Mr. Hambly is also a member of the Estate Planning Council of Rhode Island which is a select limited group of lawyers, bankers, CPAs and CLUs.